I was prompted to post this by Kristy’s earlier post here. I recently bought a machine after nearly 30 years without one (best thing I’ve done in ages). Many commenters noted that modern machines are all white and boring – well not if you live in Asia! 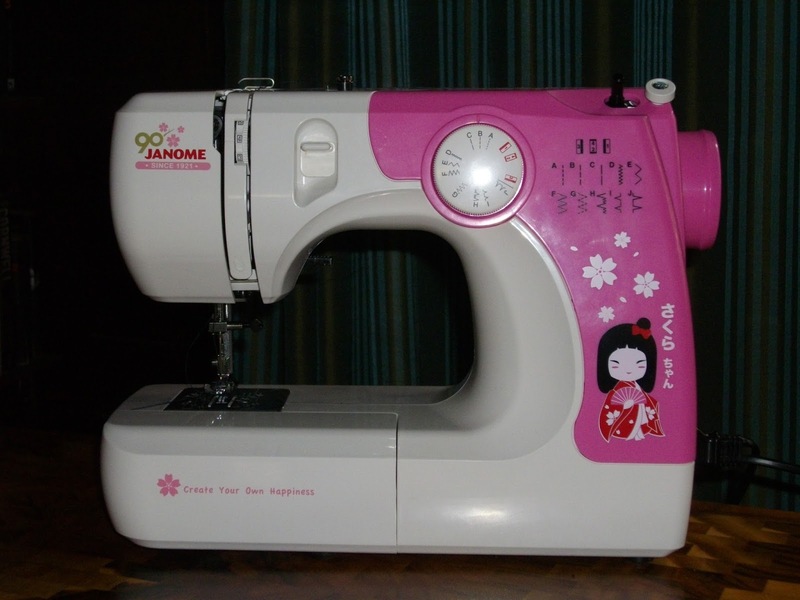 I *love* your sewing machine! I love that even the model number is decorated, and “Create your own happiness” is perfect inspiration! Gee, thanks. I love it now but it took a little while to look past the pinkness and see the inspiration. Thanks so much for taking the time to comment. I just found your blog so look forward to following your sewing adventures!